Habitat - Seepage slopes, creek swamps and bottoms. 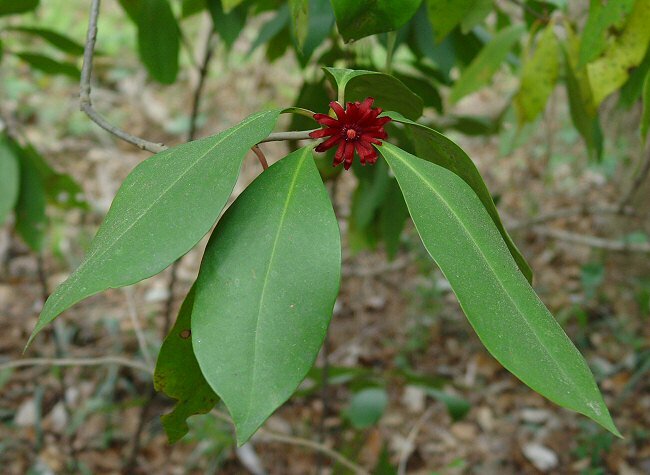 Other information - This striking shrub or small tree can be found in the southern half of Alabama. The plant is easy to identify in flower becasue of its distinct red flowers. 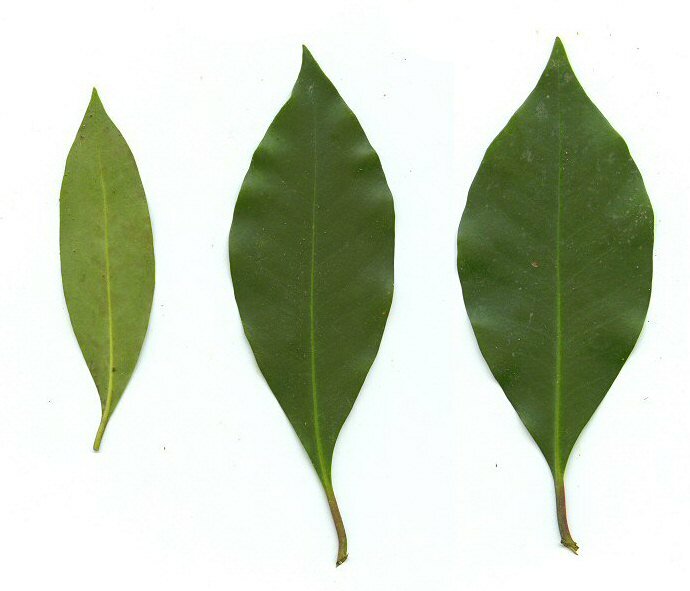 When not in flower, the plant is fairly non-distinct but the glossy leaves are fragrant when crushed (hence the common name). 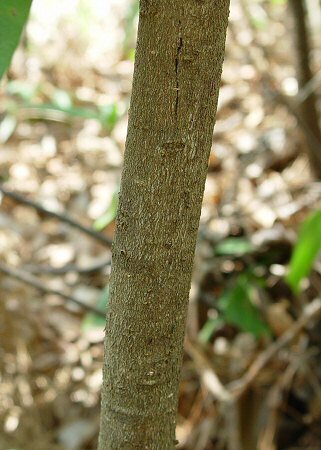 I. floridanum has a fairly small natural range but is cultivated throughout the southeastern U.S. 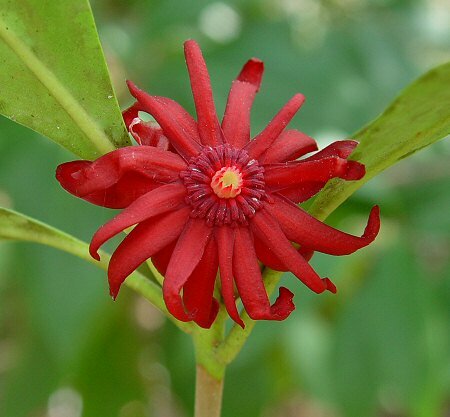 The genus name Illicium derives from the Latin "illici" meaning "allure, entice" for the pleasing fragrance of many of the species. The species epithet floridanum derives from the Latin "florid" meaning "flowery" and means "from Florida (USA)." Photographs taken at the Auburn University Arboretum, 3-26-05.